In January 2007, it published a report titled “Defending Palestinian Prisoners: A Report on the Status of Defense Lawyers in Israeli Courts” in which it explained obstacles lawyers face in representing Palestinians in military and civil courts. They’re hampered by military orders, Israeli laws, and prison procedures that prevent them from adequately helping clients – from their time of arrest through detention, trial, imprisonment, appeal, and other constraints against justice. Palestine is under an oppressive military occupation. At times of political tension, the IDF detains large numbers of Palestinians “because the regulations that govern Israeli military tribunals provide little procedural protection to detainees.” From March – October 2000, over 15,000 West Bank Palestinians were arrested. Over 1,000 were held in administrative detention without charge. — Israeli civil courts handling Israeli Arabs and West Bank and Gaza Palestinians accused of whatever officials call a crime; “due process protection under Israeli civil law (is compromised for) defendants accused of being security threats,” with or without evidence to prove it. Nonetheless, the IDF regularly moves Palestinian prisoners from the West Bank to Israeli-based detention and interrogation centers (including the secret “Facility 1391”) and prisons. Lawyers find it difficult to impossible to visit clients because restrictions “are so onerous” that most don’t even try, except for the brief moments they’re allowed before hearings begin. 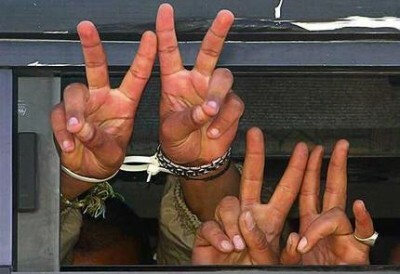 Even worse, under Israeli law and military orders, Palestinian prisoners accused of being “security threats” may be prohibited from consulting an attorney – in military courts for up to 90 days and in civil ones up to three weeks. Appeals to the High Court may be made, but only by lawyers with Israeli citizenship or Israeli NGOs. — interviewing prisoners requires knowing where they’re held; learning when they’re moved and where; dealing with orders barring meetings with clients; putting up with difficult travel through checkpoints; long waits inside prisons; limited amounts of time with clients; speaking with them on phones behind a thick plastic window easily monitored by authorities; and restricted access to documents; it makes some attorneys call these obstacles “a way of making the lawyer think a thousand times before deciding to visit the prison” under a judicial process rigged to get convictions. Logistical obstacles are also daunting in the West Bank. For Gaza-based lawyers, they’re even more restrictive, especially since Israel’s “disengagement” in August-September 2005 and now that Gaza remains under siege. Prior to summer 2005, Gazans were tried in the Erez military court on the Gaza/Israeli border through which lawyers needed permission to cross. From 2003 – 2005, only two got it, and they endured “obtrusive security procedures,” including public and at times embarrassing searches, long delays, and no set hearing schedules. Language is another obstacle as military and civil court proceedings are in Hebrew. Lawyers must be proficient enough to understand them. Palestinians may not be and require Arabic translations, a process their attorneys call “uneven” at best. Also, translators speak so quietly that detainees may not understand the most perfect translation, so can’t follow the proceedings properly. Nor can their families consigned to the back of courtrooms. Another problem is a lack of official court proceedings in Arabic, so prisoner responses become “the answers of the guy who is translating.” In addition, “all confessions, statements, police reports, military codes and judicial rulings are provided in Hebrew without translation, even though Arabic is an official language in Israel.” But not in military or civil courts. Palestinians engaging in them are prosecuted under the umbrella charge of “threatening the security of the state.” They bear the burden of proof, so guilty unless proved innocent is the legal standard in violation of international law. In addition, lawyers face months of delay to learn the charges against clients that are often vague and lack details, including about claimed offenses, dates, time and place where occurred plus evidence that would hold up in legitimate proceedings. “Lawyers representing administrative detainees must contend with impossibly vague charges” such as “being a threat to the security of the area with no other details provided.” Even when more information is gotten, it’s only after clients have been held for months. Secret evidence is also an issue, described by one lawyer as “like entering a dark room and not knowing where to go or what to do.” Courts may order evidence kept confidential and unavailable to counsel. It makes a proper defense near impossible, so counsel is hamstrung and clients are effectively guilty as charged. Delays and other obstructions are always problems. In addition, judges have “complete discretion over whether to declassify evidence and tend to arrive at inconsistent decisions” from one case to another. Torture is another issue with reports saying it’s routinely used against the great majority of detainees, and under Israeli law is allowed in “ticking bomb” cases that easily can apply to anyone. Disproving them is daunting as defendants’ testimonies are ineffective against prosecution charges and disclaimers on detention treatment. The defense is further hampered by being rarely able to call witnesses in detention hearings. When allowed, they may only testify on matters of family life, moral character, and other factors unrelated to charges. Most often, military prosecutors are attorney’s only information source, but not as witnesses. “Instead, the prosecutor answers all of the defense lawyer’s questions without being sworn in and has the right” to answer none. To have witnesses in regular military tribunals, attorneys must apply for hard to get travel permits so they may appear in court. “There should be three sides in a trial – defense, prosecution and judge – and each should be independent from (the other). Here, both the prosecution and judge have the same role,” so the scales of justice weigh heavily against defendants. Also troublesome is the training of court officials. Most prosecutors provide service as part of their military obligation and have no training or experience in civil proceedings. Those remaining in the IDF go on to become judges, “putting them in the position of evaluating cases brought by their former colleagues. This means that many people brought up in the system and have never appeared in a civil court, but now they’re judging their friends and past friends,” so most defendants don’t have a chance before them. Differences between military and civil courts are especially stark. “Lawyers who defend Palestinians must contend with inequalities arising from two systems of law in Israel and the OPT.” Civil law provides greater protections, but Occupied Palestinians generally don’t fall under its jurisdiction. “Some of the most glaring differences between (civil and military proceedings) are in the treatment of juveniles.” Israeli civil courts protect them with special procedures not available to Palestinian youths in military courts making them as vulnerable to injustice as adults. In addition, juveniles as young as 17 serve sentences in adult prisons. Only those 16 and younger go to special facilities for youths. Israeli Arabs are as vulnerable as Palestinians in the Territories for judicial fairness. They may be tried in military courts, and according to the “test of most connection” in Israeli law, Jerusalem Arabs come under the jurisdiction of military courts if accused of committing acts constituting security threats in the eyes of authorities. Military Court of Appeals decisions are final, although in rare cases may be appealed to the High Court in demonstrable cases of “egregious and extreme” legal errors or a lack of jurisdiction by the military court. However, in administrative detention cases, the High Court ruled that it has discretion when extensions are ordered and defendants were denied access to lawyers. Yet attorneys say authorities treat “almost every Palestinian as a ticking bomb case,” so presenting an effective defense is near impossible. Also, the High Court ruled that prisoners may be denied counsel if doing so is “absolutely necessary” for the good of the investigation or to protect national security. Addameer reported that lawyers believe “that a general boycott of the military courts would be better in the long term for Palestinian prisoners,” but say to be effective should be organized by them. However, no movement exists, and the task of building one is daunting to impossible given detainees’ isolation, harsh treatment, and need for help that an activist effort would compromise. For their part, lawyers feel obligated to help despite their impotence under a fundamentally unfair system.